According to the National Criminal Justice Reference Service, the number of homicide victims ages 15-17 has declined, but the percentage killed by firearms remains high. To hear of a school killing or shooting anywhere is tragic. However it often has an even greater impact when that violence hits close to home. 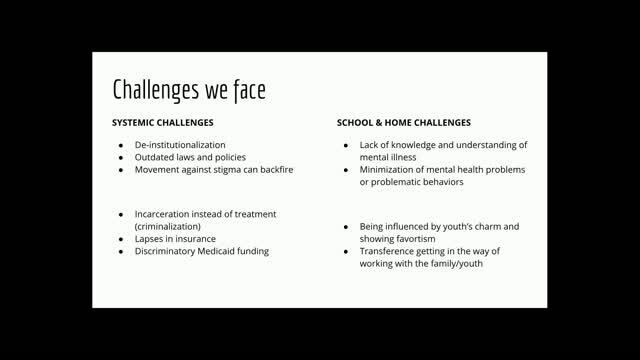 Access to federally funded programs for preventing violence; school counseling; and programs such as Children, Youth, and Families (CYF) for difficult youths aren't always enough to manage their deep needs. 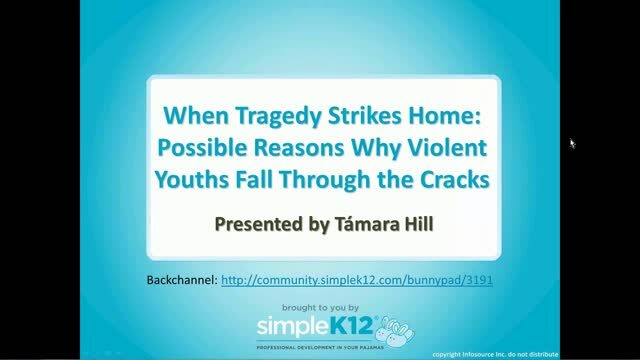 Join Tamara Hill, a licensed and trauma certified child and adolescent therapist, as she explains why we must come together as a community to not only understand the violent behavior but diminish it. 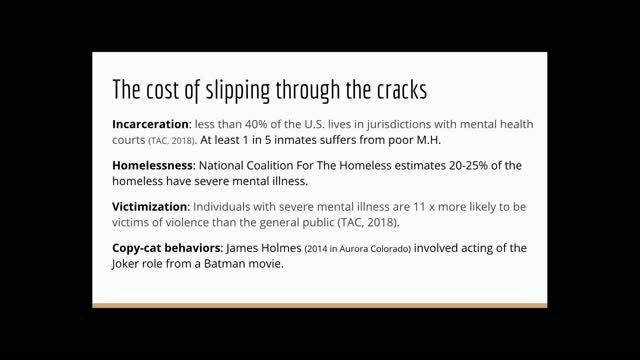 In this first session of a two-part series, Tamara will provide a multi-dimensional perspective and explore some of the potential reasons why violent youths fall through the cracks of our school systems. 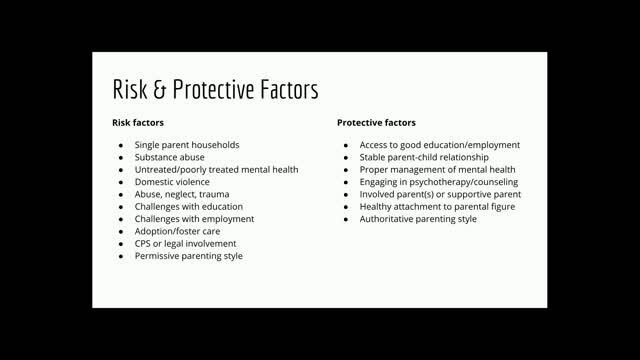 Excellent presentation for reviewing causes, problems, needs, and interventions. This information is spot on!! This is an excellent presentation! Thank you! 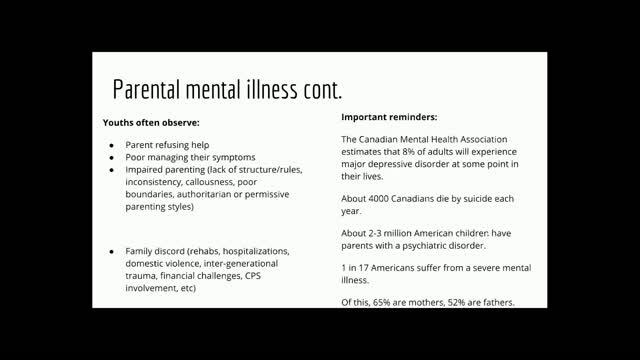 It is interesting to hear a mental health perspective on this topic.